← Buckwheat Crepes with Spinach & Feta cheese. 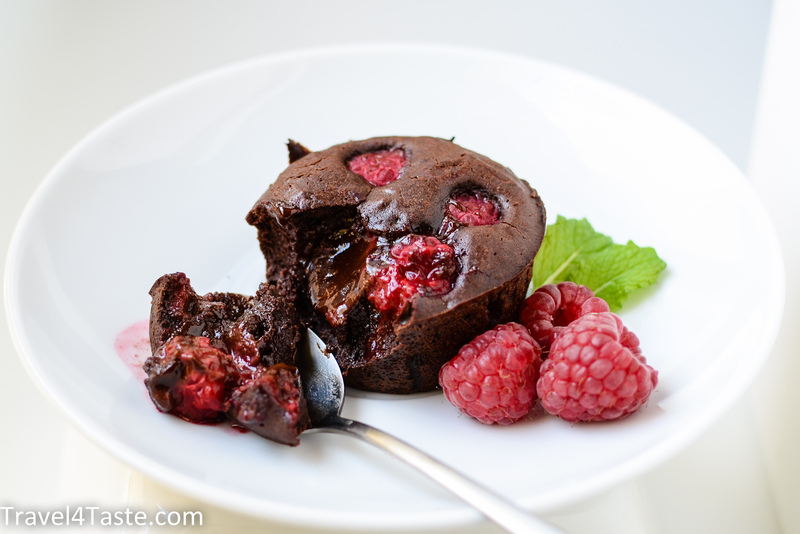 After the classical and orange version I would like to present you another variation of this extreme chocolate indulgence: Mi-cuit au chocolat with Raspberries!!! If I would have to choose my favorite one (which is indeed difficult) I would have to point to this one! Right now I cannot think of any better dessert! 1. Melt the chocolate with butter (in a saucepan or in microwave). 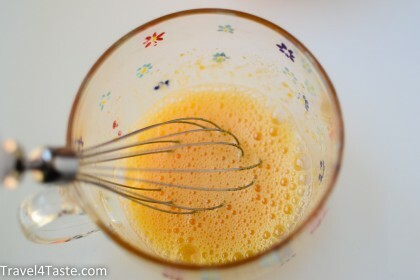 In a bowl (I use a 500ml one) whisk the egg with sugar and salt. Add melted chocolate, flour and stir it together. 2. Pour the chocolate batter into the muffins forms and stick 3-4 raspberries in each chocolate cupcake. 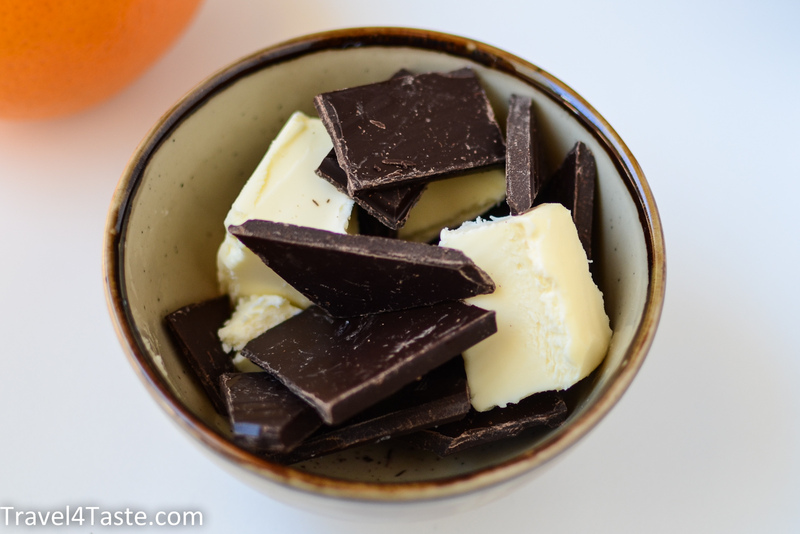 Bake at 180′C in a preheated oven for 10-12min (shorter baking = more creamy inside!). This entry was posted in B-Day, Dessert, France, Fruits, Gluten Free, Valentine's Day. Bookmark the permalink. Looks absolutely delicious! 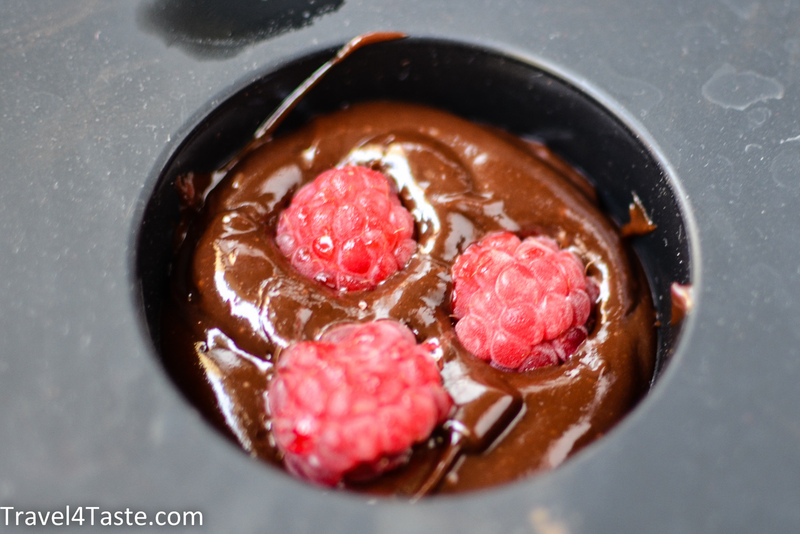 Chocolate and raspberry are the best combination! 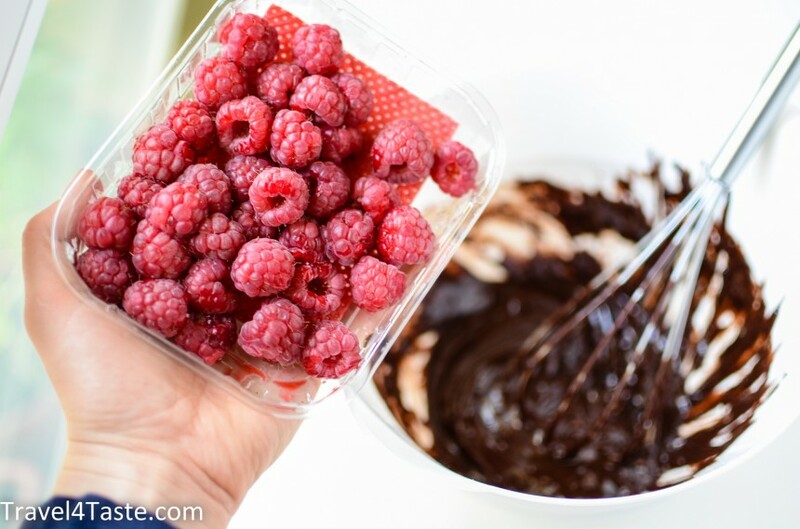 Raspberries and chocolate is such a delicious combination! Sorry to interrupt you again, is this the mixture for 1 piece? Depending on the size of your muffin forms it should be enough for 2 portions. 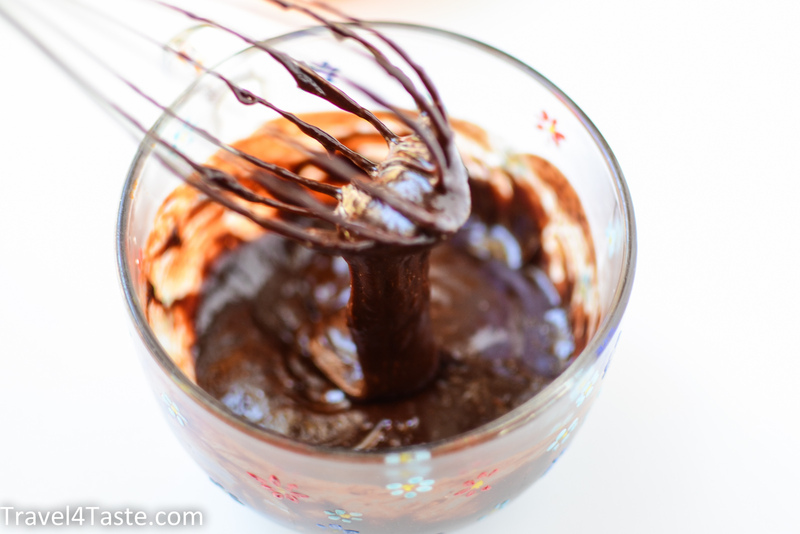 If you do 3, reduce the baking time to 8min! I’m really happy it worked well! All my friends also love it The Mi-cuit in oranges is also very good. Cheers! do 15g equal to 3 teaspoons ?… and do i just set the oven to preheat in 180 degrees its because i dont know what degrees the oven preheats on… what i mean is ,is it the same in any oven? so if i just set my oven in 180 degrees it should work…? 15g of flour is about 1 tablespoon. I have made this twice now – both times my guests paid me loads of compliments on such a delicious and beautiful-looking dessert! And yet it’s one of the easiest recipes ever. 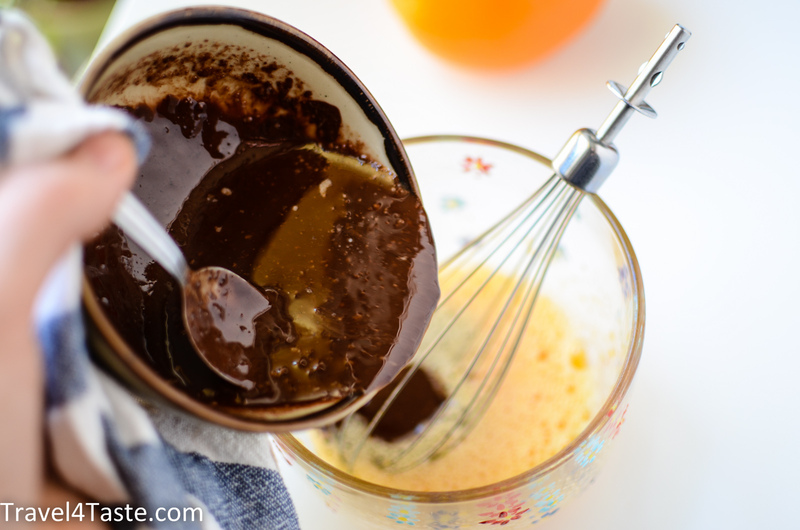 I’ll be using this recipe many times to come! Thanks!